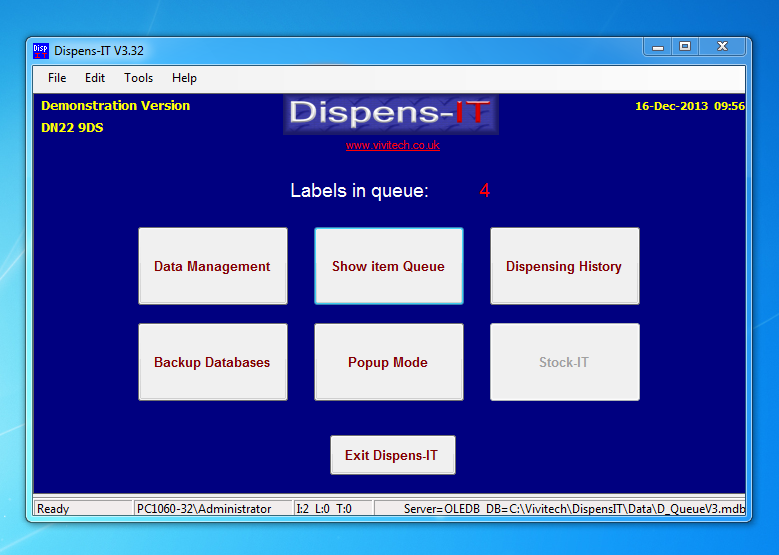 Vivitech's Dispens-IT software is designed for use within dispensing GP surgeries. 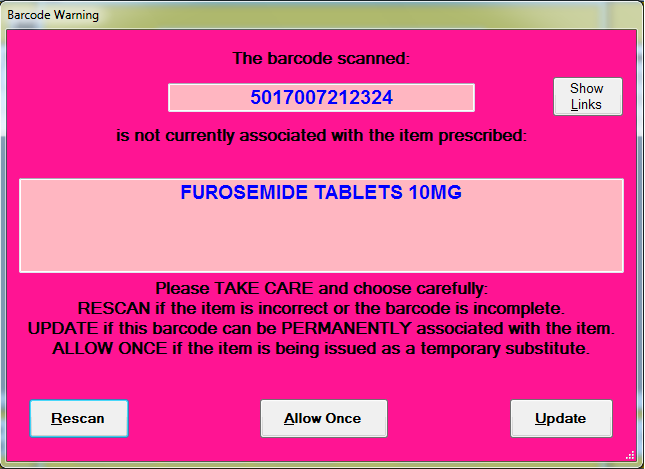 Its primary function is to help eliminate human error in the dispensary by making use of the barcodes that appear on almost every item. It is in use at an ever-growing number of satisfied dispensing practices across the UK. Make your Practice safer today. Enter your details below and click submit and our team will be in touch with you shortly. 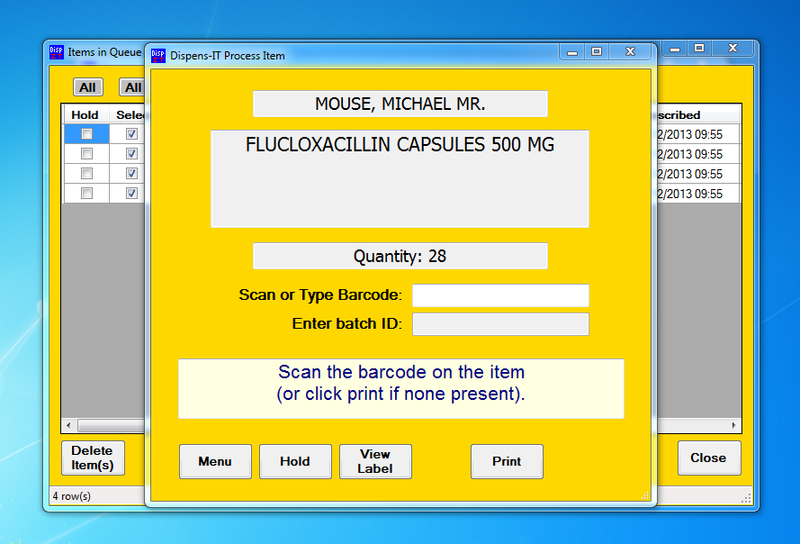 Quite simply, Dispens-IT intercepts and stores the details of each prescribed item as it is output from the surgery’s clinical system and withholds the printing of the item label until dispensary staff have scanned the barcode of the item. If the barcode matches the item(s) description, the label is printed normally. If it does not, a warning message prompts the user to investigate. Introducing this simple extra step in the dispensing process typically takes only a second or two per item, yet can save hours of time in manual second checking. In addition, a complete historical log of all dispensed items is maintained, including the scanned barcodes, and this history may be easily queried and printed using familiar PC-based tools. By interfacing only at the labels level, Dispens-IT can be used with all the popular GP clinical data systems. The barcode database is populated during the initial period of use within each individual surgery and maintained as part of normal operation. There are no expensive subscriptions to database providers and no lengthy update procedures to endure. We have been busily preparing a brand new version of Dispens-IT that is ready for use with the new Falsified Medicines Directive (FMD) verification system. We are very proud to announce that Dispens-IT has passed the necessary tests and is now eligible to connect to the live UK national system, which is just coming online. All pharmacies and dispensing practices will need to register in order to access the national FMD system and this is starting to happen now, ready for the February “go live”. You can either register directly via the SecurMed website, or ask your software supplier (that’s us!) to register for you. Dispens-IT is priced on a per-workstation basis to allow surgeries to order as many scanning stations as they require. An Engineer will visit your surgery and install DispensIT. During installation, training is given to dispensing staff on how to use the system. To arrange the installation of Dispens-IT, contact us on 01777 234500. Updates, telephone and internet support are free of charge for one year following installation. The annual support charge will not be implemented until at least 12 months following installation of Dispens-IT. These samples can be viewed using a PDF reader. Removes need for manually second checking every item. Creates log of all items dispensed for traceability and call-backs. Supports thermal printers for fast, silent and low cost labels. Free UK Based remote support for one year included.